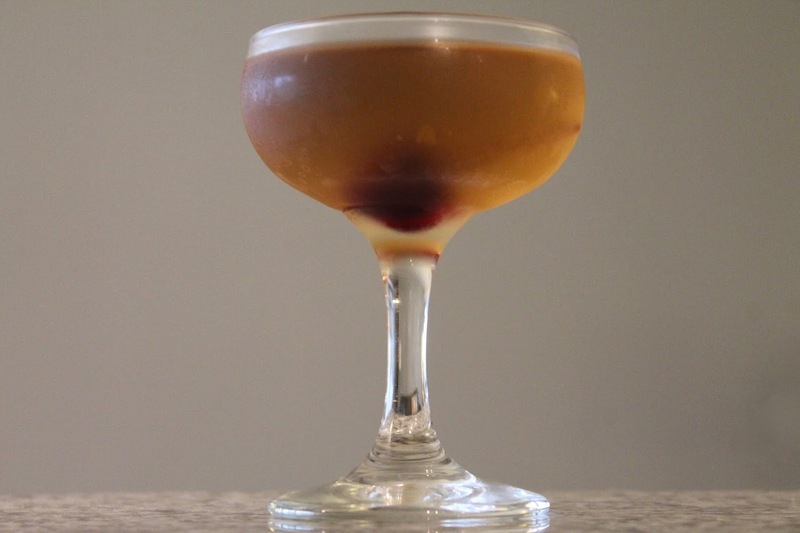 Whiskey is the heart and soul of a Manhattan. So what happens when you set the whiskey aside? If you go the tequila route, you end up with a Spanish Harlem, a Manhattan variation where aged tequila stands in for whiskey. It's named for the section of northern Manhattan known for its large Latino immigrant population. I made my version with añejo tequila, which is aged for at least 1 year--shorter than many whiskeys but longer than most tequilas. This drink was featured last summer during a My Poor Liver Podcast. They joke about having invented it the previous week and then found out it already existed (I know how that feels--I remember an evening where I "invented" a White Russian). Combine tequila, vermouth, Cointreau and bitters in a cocktail mixing glass with ice and stir until very cold, at least 30 seconds. Strain into a chilled coupe glass and garnish with a cherry.